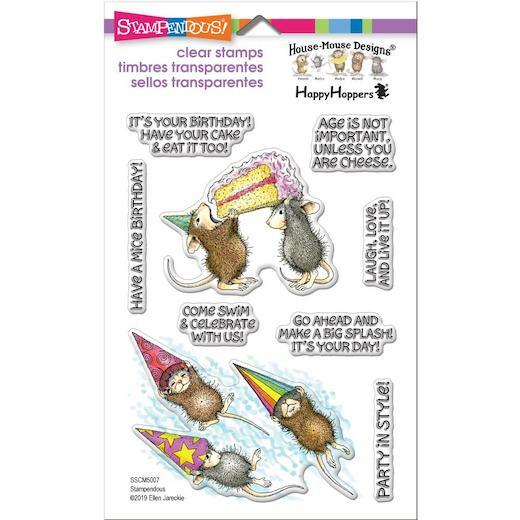 This Large 4" x 6" set of nine Perfectly Clear Stamps features premium photopolymer images from exclusive artwork copyright Ellen Jareckie and House-Mouse Designs. Interactive images work together for dozens of fun looks. Use with acrylic handle sold separately.